Weather - Very wet drizzle throughout most of the day. Not too cold. Today was a big clear out day, helping Dixter look good when the plant fair takes place this weekend. 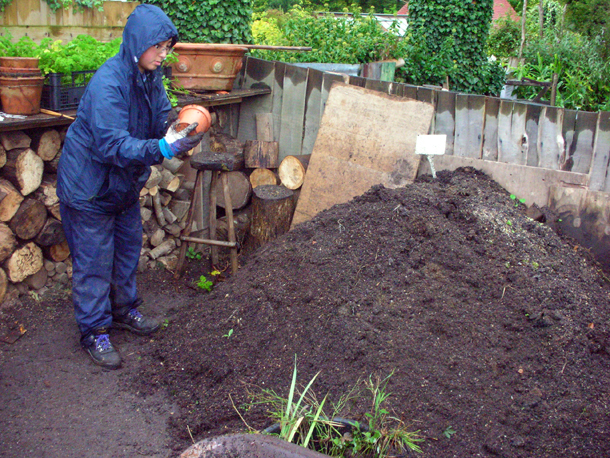 I was part of the chain of clearing out pots of plants that were dead or had rotted away. On Mondays there are a really lovely group of ladies from The English Gardening School who volunteer at Dixter - I hope to get a photo of them soon. 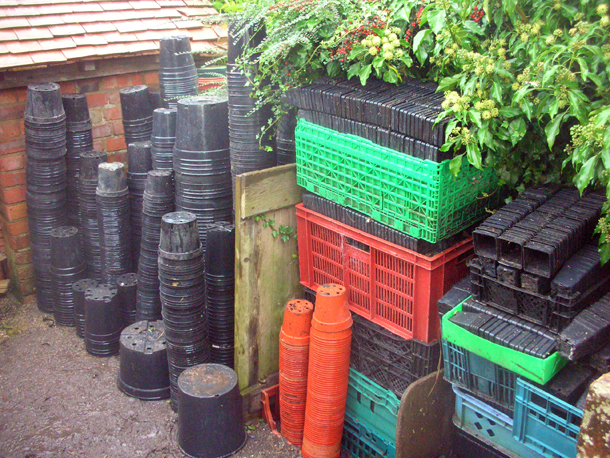 They did the amazing job of tidying, organising and stacking up neatly the different pots that we have. 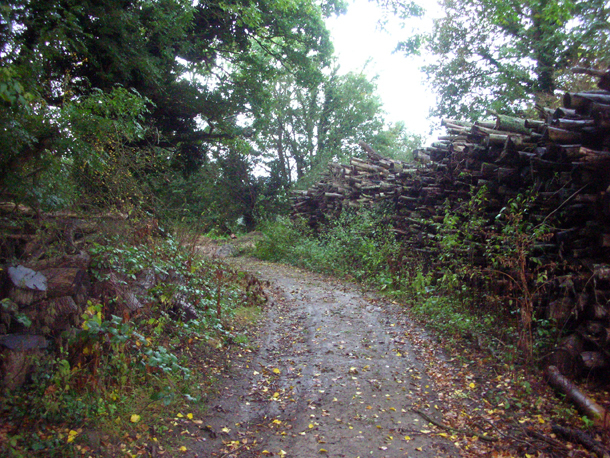 Unfortunately pernicious weeds like bindweed & diseased plants meet a doomed end at Pen Stump, found at the bottom of this track. There they will face a fiery death and be burnt.